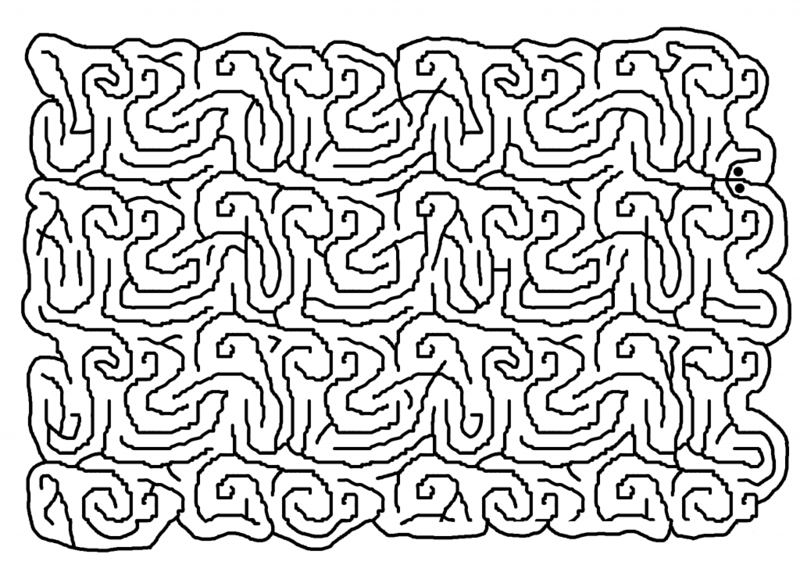 Though the ribbons and parallel paths may look like they pass over and under each other, this maze is designed to be purely flat. 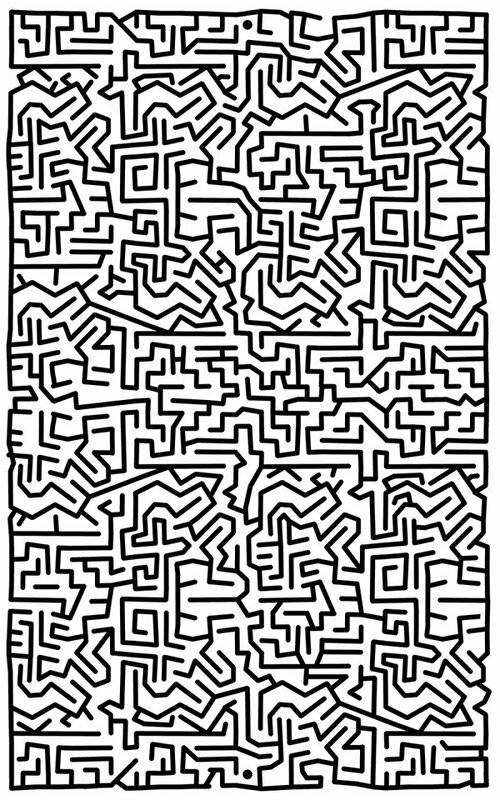 There’s a very simple way to solve it, and a more complex way to solve it. 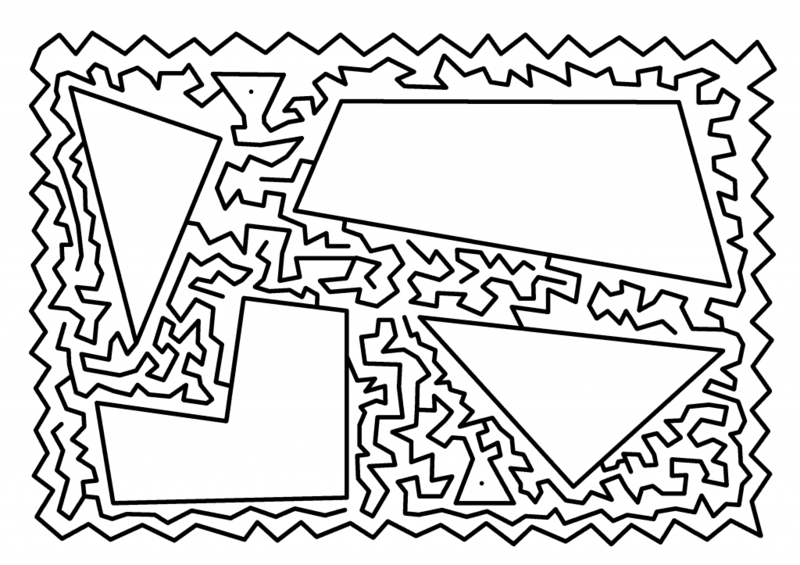 Either way, the path does not cross any dark lines. I started this maze while on the train with Lin to Paola and Jon’s house. Start at one of the small dots and travel to the other dot, using teleportation points as needed. I have no idea why I called this Circles, but the interior jagged lines were created by creating a relatively tight grid in Gimp and telling the cursor to follow the grid. 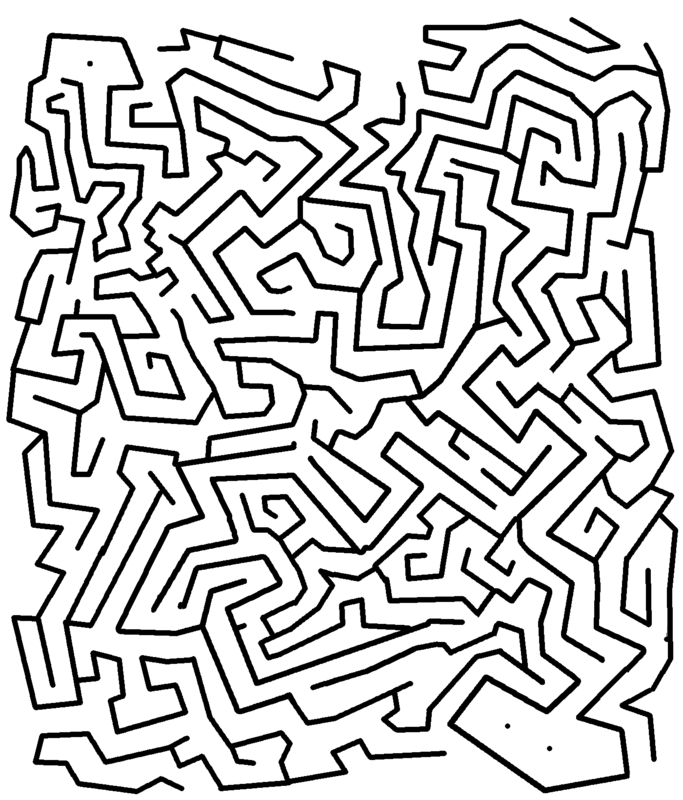 The start and end points are on the right, near the top. This one started with the big empty shapes and then I added the angular border. 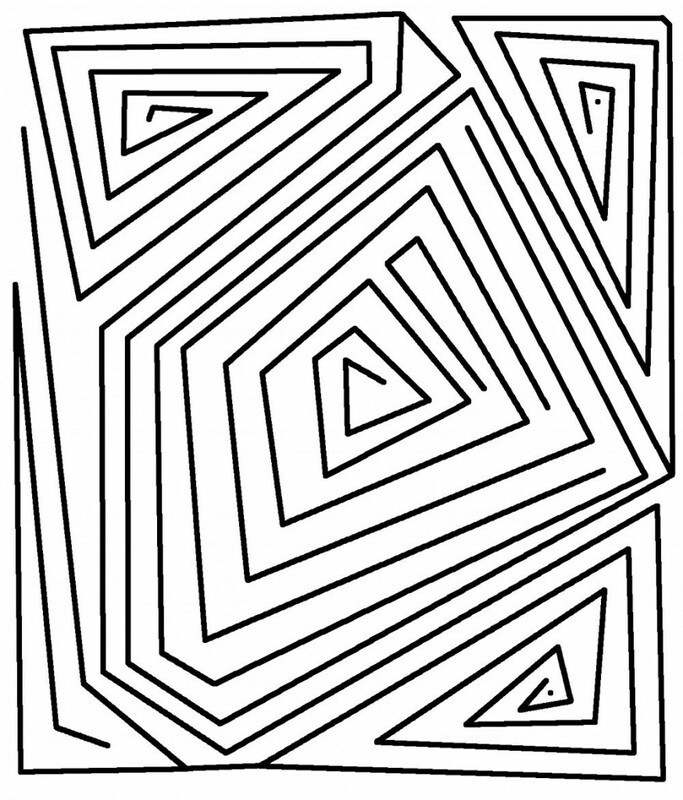 I had been planning to do something like Enlined Shapes, but ended up doing almost the opposite. 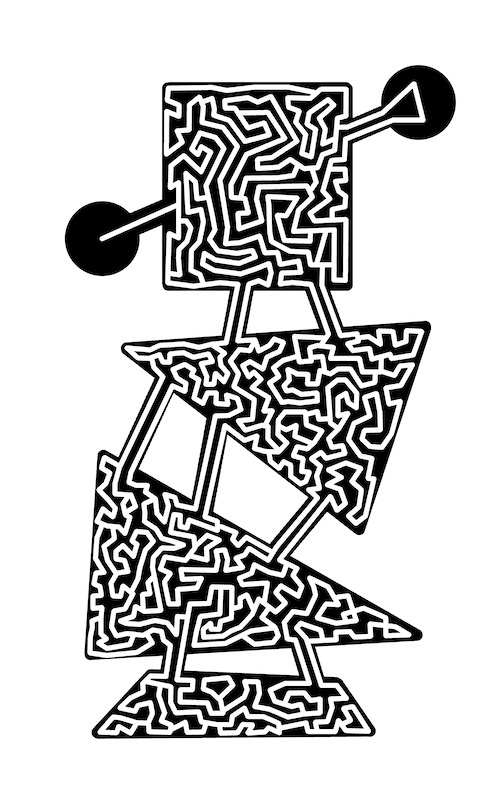 Travel from one dot to the other. I made this maze while Takumi and Mikarin were at our house. 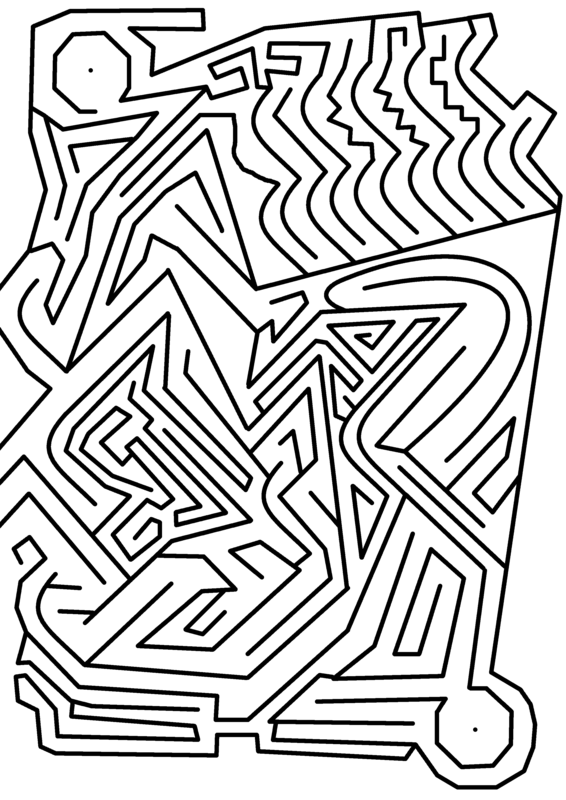 Takumi seemed the most interested, though I wasn’t able to explain *why* I was drawing it. 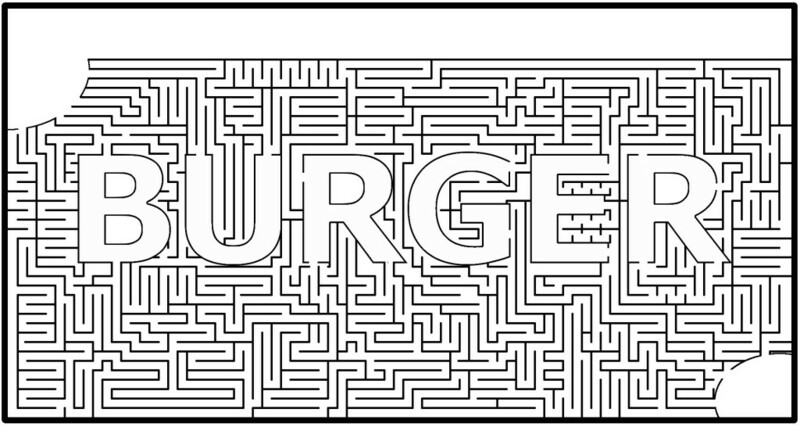 Go in here and out there. 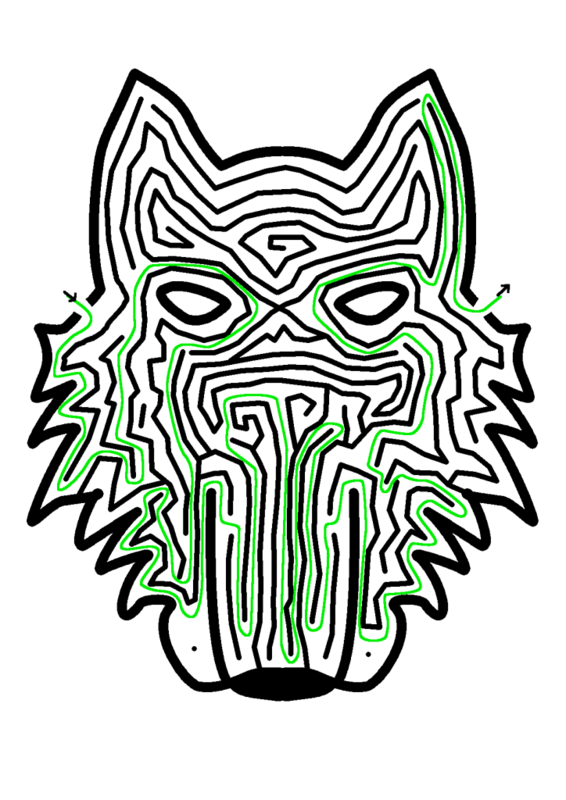 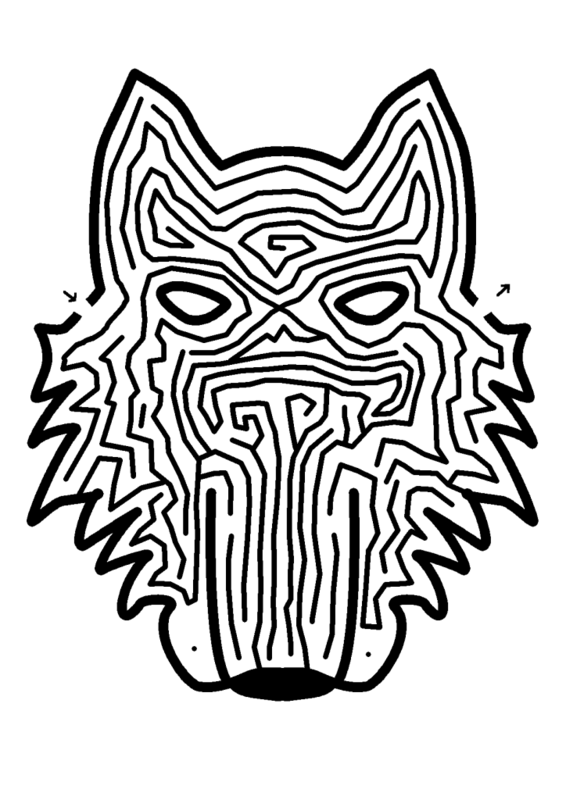 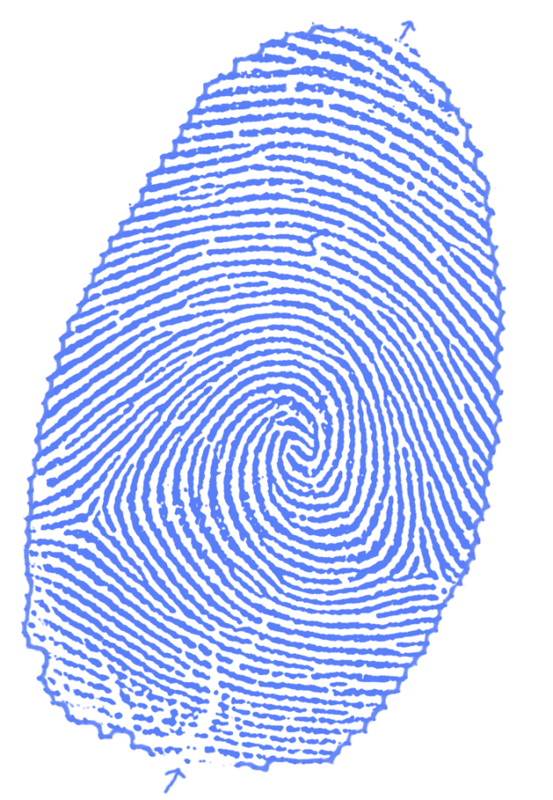 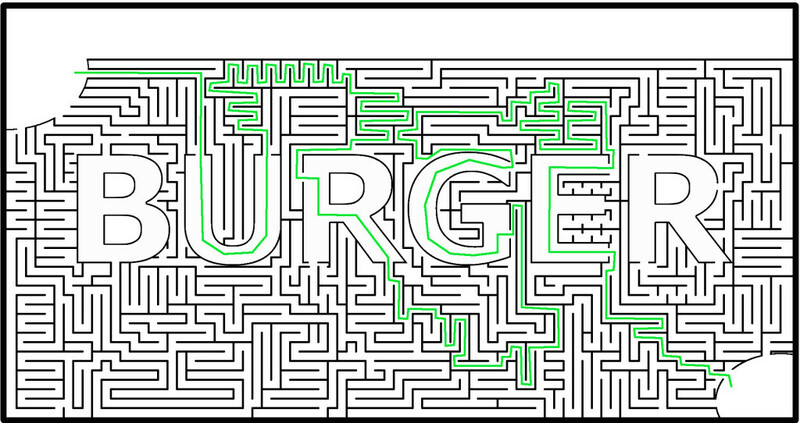 I am thrilled when I get to draw mazes for people to publish! I made this maze for the book Aba and Shamana, by Cynthia L. Floriani. 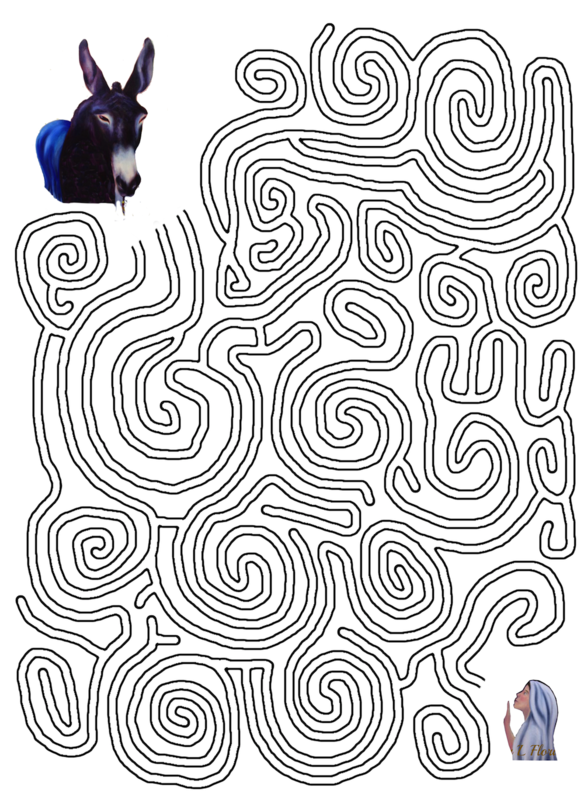 Help Aba follow the paths to reach Shamana! 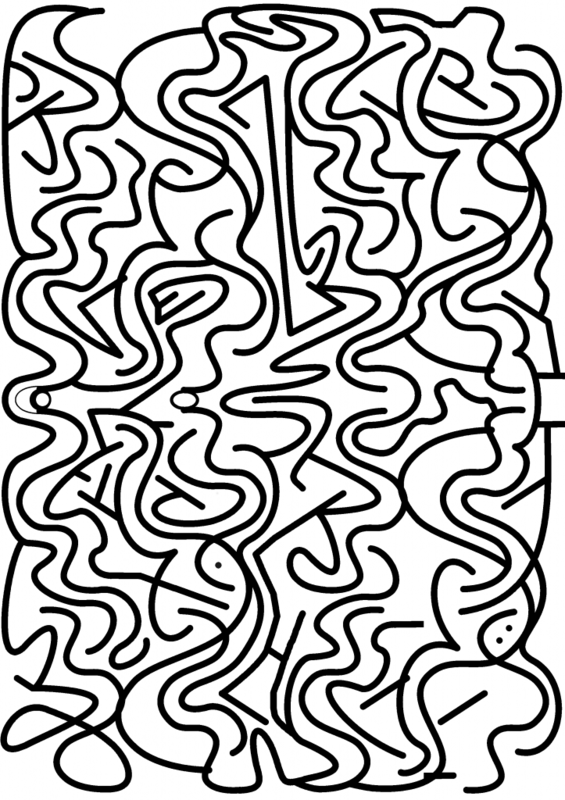 It my first maze after I learned how to use the paths tool a bit more effectively. 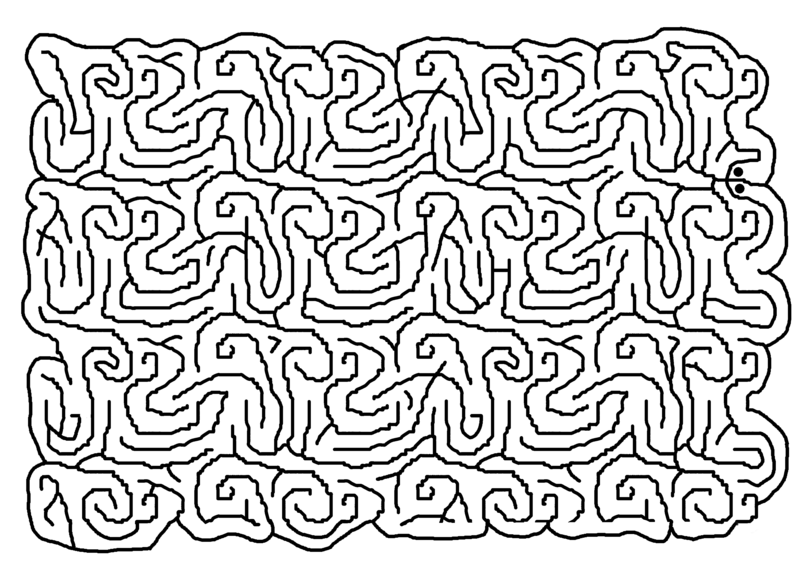 This is one of the first mazes I made after learning how to make seamless tiling in Gimp. Offset layer is magic! 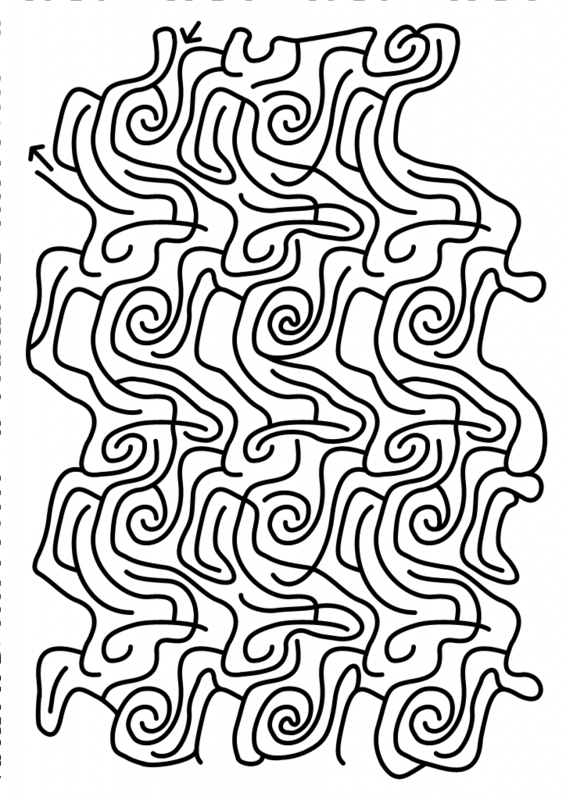 Follow white paths from circle to triangle or the other way around! Available as a poster on Zazzle. Help the dot find its way out. Travel from dot to dot between black lines. 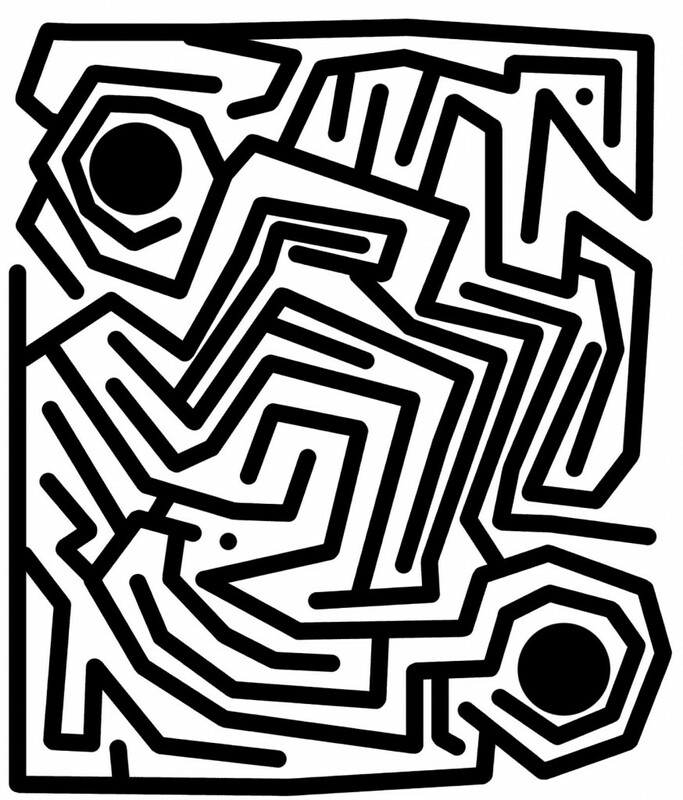 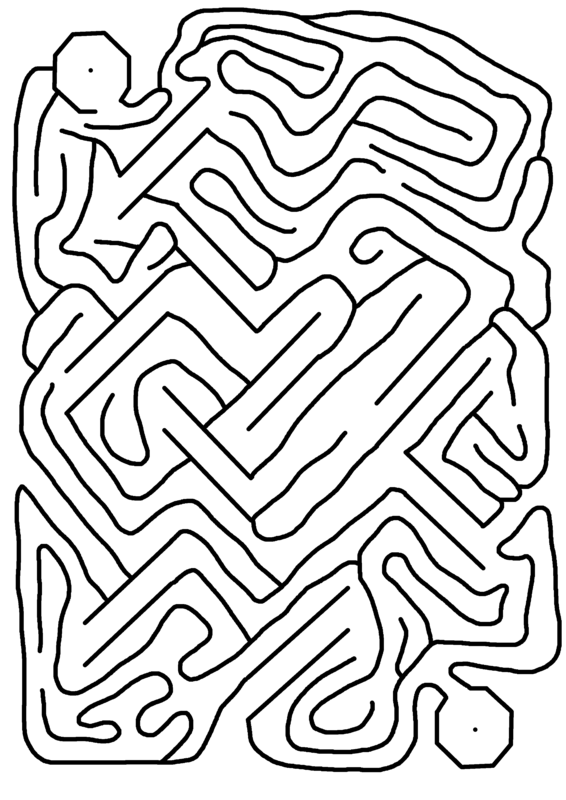 Buy a poster of this maze on Zazzle.com! 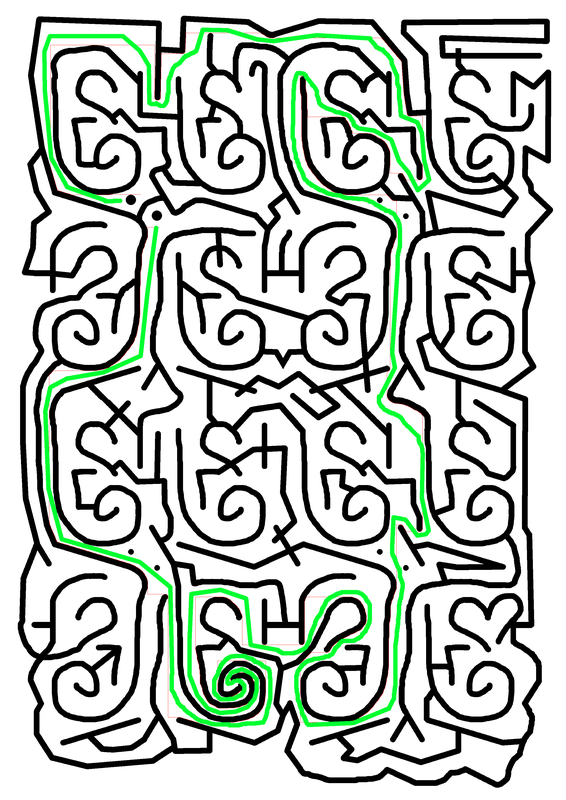 Try to squeeze through the lines from one big dot to the other. 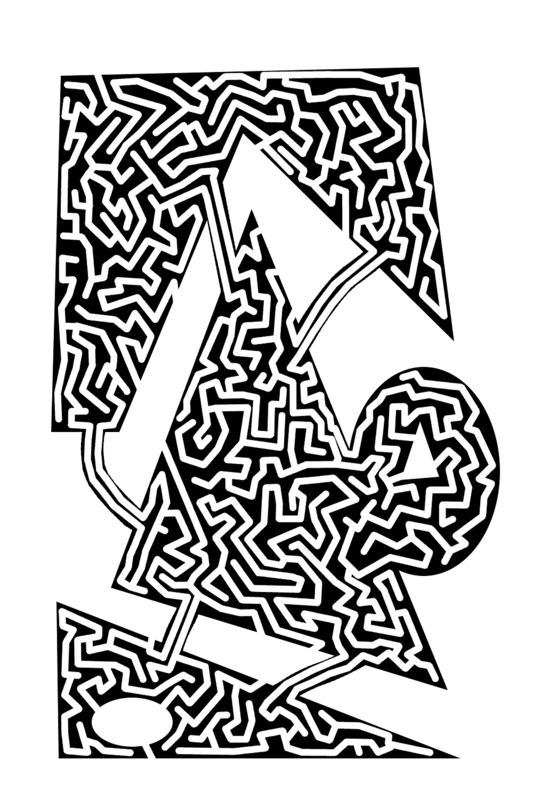 There’s only one dead end. 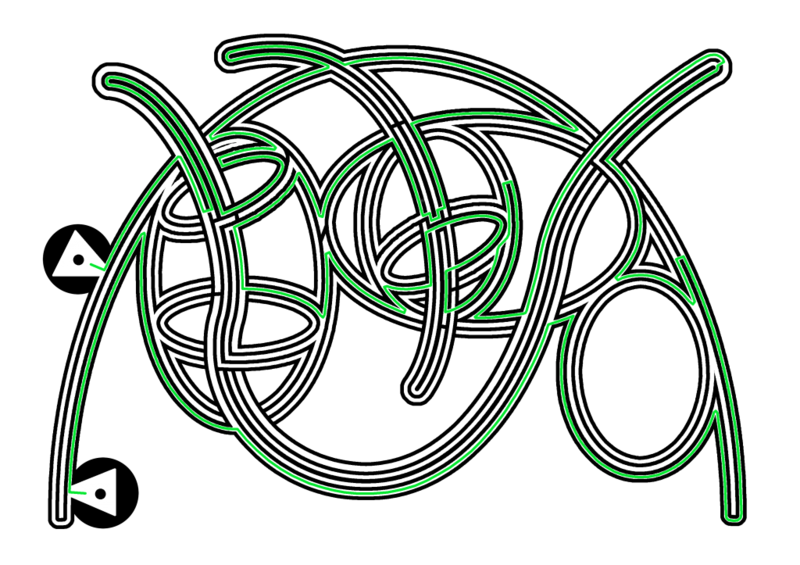 Try to get from there to the center of the other circular shape. Buy a poster sized version! 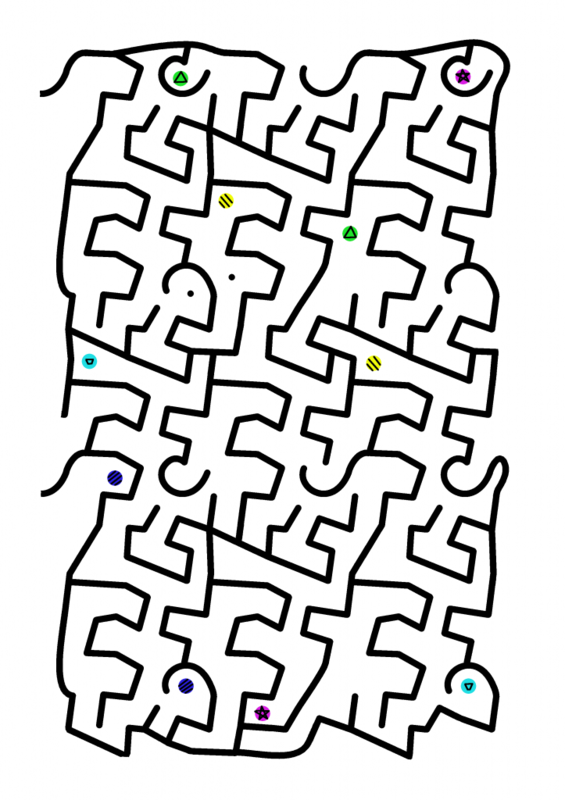 I figured out a reasonable way to draw the optimal path solution for my mazes. 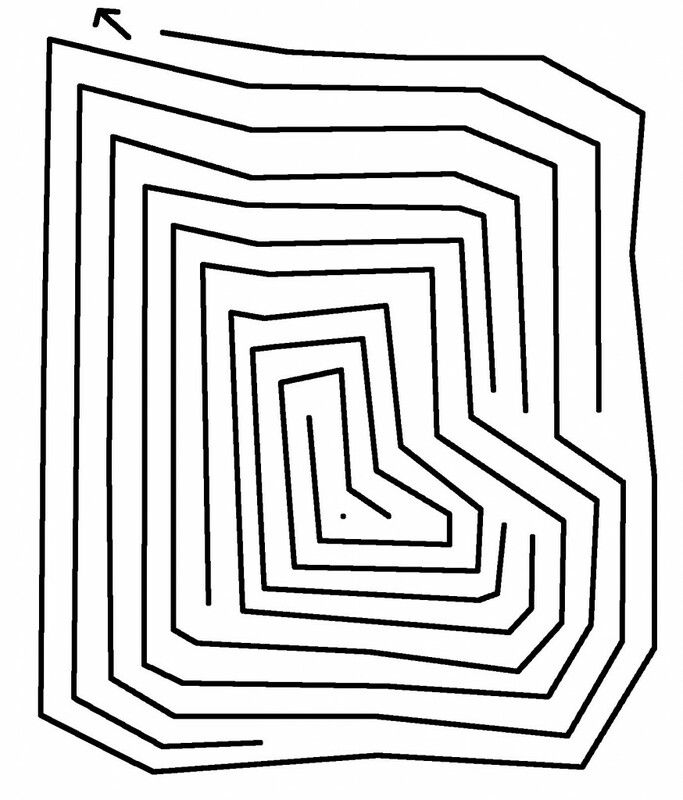 Travel from one dot to two dots, without crossing any lines.